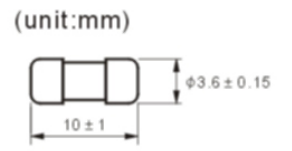 The fuses used in power circuits and high-power equipment not only have three parts of the general fuse, but also have an arc-extinguishing device, because the circuit protected by such fuses not only has a large working current, but also has a high voltage at both ends when the melt is fused, and often the melt is melted (fused) or even vaporized. However, the current is not cut off, the reason is that the fuse at the moment of fusing under the action of voltage and current, the two electrodes between the arc phenomenon. The arc extinguishing device must have strong insulation and good thermal conductivity and negative electricity. Quartz sand is commonly used as arc extinguishing material. 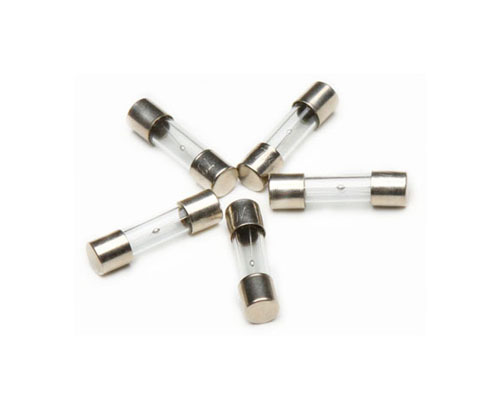 Looking for ideal 10mm Car Glass Tube Fuses Manufacturer & supplier ? We have a wide selection at great prices to help you get creative. All the UL Listed Fast Slow Blow are quality guaranteed. We are China Origin Factory of Electronic Glass Fuse. If you have any question, please feel free to contact us.